Hello, everyone. I hope you all had a great weekend! I went to go see Newsies this weekend with some friends and we had a great time. I haven't seen the musical since probably seventh grade when we watched it during music class, haha. I really enjoyed the show and if it is coming to your area would highly recommend you check it out! Also, today is the last day to enter to win a Stella and Dot Rebel Pendant Necklace. Enter using the rafflecopter below! 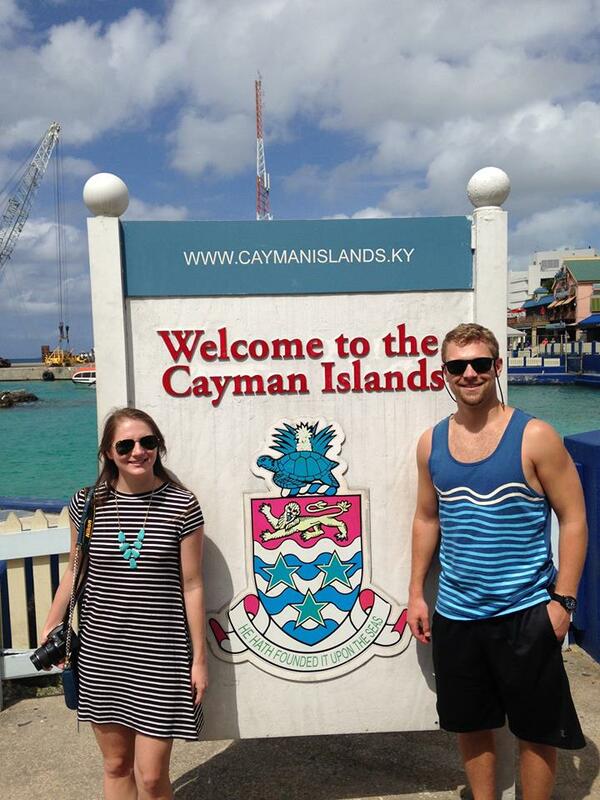 Tyler has a client for work in the Cayman Islands. He went in early December for a week for project kick off. He had to go back for a week in February to close the project. Luckily, my job pretty much allows me to work anywhere that has wifi connection. I was able to get permission to work remotely for the week, so I tagged along on Tyler's work trip! I am truly grateful that my company allowed me to do that, because it gave us a great vacation! 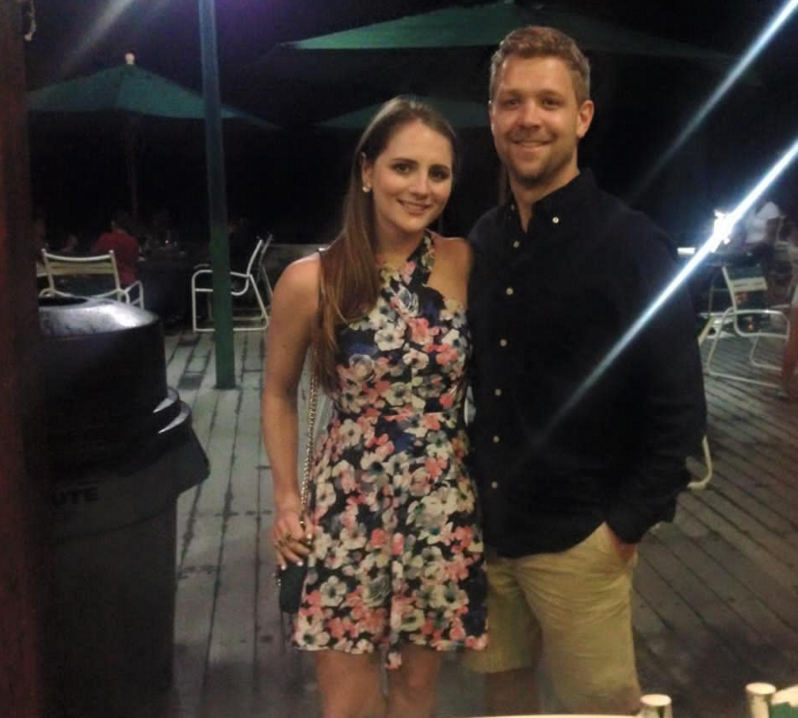 We both worked everyday from 8:00 AM - 4:30 PM, so our week in the Cayman Islands was not an all-day beach vacation, but we still had a wonderful time. Since this trip was different that most of our vacations, I'm going to recap it a little differently than my other vacation recaps. I hope this helps if you are looking to plan a trip there! If you would like to pin this post for future reference, please use the image above : ). Since Tyler's company was paying for most of the trip, our hotel was chosen for us. 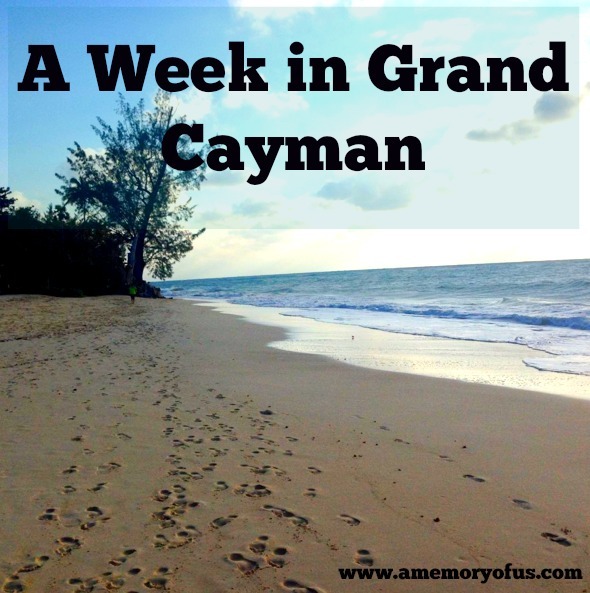 We stayed at the Comfort Suites Grand Cayman. Honestly, this hotel was great. It had a nice pool, beach access, free breakfast in the morning, and was in a great location. It was right along Seven Mile Beach and was within walking distance of many restaurants and bars. The hotel was very clean and the staff was very nice. We were really concerned about safety since Tyler would be leaving each day and I would be staying at the hotel to work. I felt completely safe there by myself while he was gone. For the last two days of our trip, we moved to an Airbnb. We rented a private room/bath for two nights. The host was great and we really liked moving to a new location as that put as around new beaches and restaurants! I would recommend both of the places we stayed during this trip. The food the Cayman Islands is SO good. Below is a list of some of our favorite restaurants from the trip. 1. Yoshi Sushi: My favorite meal from the whole trip. Our food is pictured above and was SO good. If you go early enough, they also have a pretty good happy hour. 2. Sunset House: Tyler's favorite meal from the trip. The whole restaurant is outside on a deck. The restaurant is a part of a hotel, but it is very good. We both recommend the bruschetta. You're right on the water, so if you go on a day when the cruise ships are docked, you can watch them from the deck which is pretty cool! A picture of us there is above. 3. Gelato & Co: Delicious gelato! Gelato & Co. is also in a really cool area called Camana Bay which is a shopping district you can walk around while you eat your gelato. 4. Lone Star Bar & Grill: This is your typical sports bar. Tyler and I watched the Super Bowl here and we had a great time! 5. Breezes By the Bay: This restaurant is located right in Georgetown. If you go during the day, expect the area to busy with people from the cruise ships! They have delicious pizza and you can sit out on a balcony to be in the action. Service was a little slow, but we had a very nice waiter and a great view so we did not mind! 6. Cafe del Sol: We went here for a quick lunch before heading to the airport. They have good sandwiches, coffee, chips, etc. 7. Chicken! Chicken! : Definitely worth a visit if you are in the mood for some quick food. They have really great jerk chicken. Portion sizes are huge. Tyler and I could have easily split a meal and just added one extra side to have enough food for the both of us. 1. Seven Mile Beach: This is the most well-known beach on the island. It is the beach that our hotel backed up to. 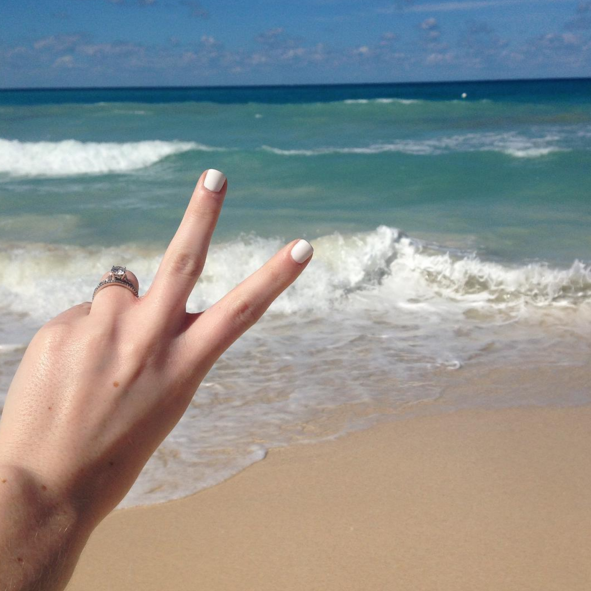 The beach was really nice, and it is definitely worth a day here! If you do not stay at a hotel on this beach, there are public portions of this beach you can go to. 2. Sting Ray City: This is the only excursion we really went on and it was so much fun! 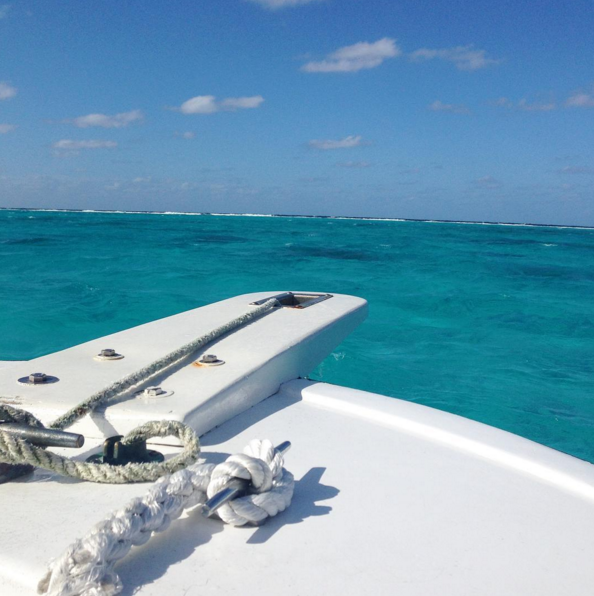 A boat will take you out to a sandbar in the middle of the ocean. There are sting rays all around! The story is that fishermen used to go there to clean their fish, so the sting rays started going there for the scraps. Now they stay because tourists like us go out there and feed them haha! Unfortunately, we didn't have a water proof camera so I don't have any pictures of us with the sting rays but it was very fun. We were able to feed the sting rays, hold them, and they placed them on our backs for "back massages". Our excursion also included snorkeling at two different stops. 3. George Town: Walking through downtown George Town definitely needs to be on your list of things to do in the Cayman Islands. There are quite a few shops, restaurants, etc. all around. This is also where the cruise ships dock, so there are tons of people everywhere. 4. Rum Point: Rum Point is a free public beach you can go visit. It is a bit of a drive, but definitely worth the visit. You can get beach chairs and just enjoy the sun, rent equipment to do some water sports, eat at the restaurant, play sand volleyball and more. Tyler and I spent a few hours here and really enjoyed it. It was very relaxing and we were surprised it did not cost anything to spend the day there! We didn't eat there, but the food looked really good, too. Grand Cayman was truly an amazing place. However, the trip was quite expensive. I'm not sure if Tyler and I would have ever gone there if it were not part of a business trip. (His flight, our hotel, and the rental car were all covered by his work so it helped tremendously with what we paid out of pocket.) If you are looking for a more affordable beach vacation I would highly recommend Punta Cana . If you have any questions, leave them in the comments of feel free to send me an email! Thank you to Stella and Dot for sponsoring this post and giveaway. I rarely think I put an outfit together without any jewelry. I love how much a good jewelry piece can complete an outfit. One of my favorite places to pick up jewelry is Stella and Dot. I have quite a few pieces from them and seriously love them! A favorite piece from them is the ring in this post. I love that they have everything from statement pieces to more delicate pieces, like this silver pendant necklace. I recently received this silver pendant necklace. I was so excited to get it, because I had borrowed it from a friend in the past and seriously loved it so much haha! (Blog post here.) Lately I have been trying to add more silver to my collection so this was a great addition to my wardrobe. I love the pendant length of this piece. You will probably be seeing it quite frequently on the blog in the next few months haha. I am very excited because Stella and Dot has offered to give away one of these necklaces to one of my readers! You can enter through the Rafflecopter below. Good luck! This look is what I wore for a day of exploring George Town in the Cayman Islands. It was a perfect look for walking through the shops, watching the cruise ships, etc. I've featured this striped dress on the blog a couple times before. You may recognize it from this collaboration I did with Off Broadway Shoes. I've also featured it before with another Kendra Scott necklace so apparently that is my favorite combo, haha! My exact dress is sold out and I cannot find one that has the same size of stripes as this one, but I do really love this one and it's less than $15. For a day of walking I paired it with Jack Rogers. I absolutely love these sandals! They are also very comfortable. When I first got them, I thought they were not really comfy at all. It took maybe two days to break them in and now they are incredibly comfy. If you don't have a pair, I definitely recommend you get some! Mine are from 2014 and they still look really nice. They are worth the money and seriously come in every color. Shop them here. Are you a subscriber on my YouTube channel? A new video will be coming out later this week! Make sure you're all caught up before then! I am always cold, so I pretty much always back yoga pants or a sweatshirt for every trip. This time, I packed these woven beach pants as I thought they would be great for walking the beach in the evening, or for when I needed warmth in the hotel room. I ended up pulling them out on Thursday as it was cloudy and windy the whole day. I loved having them for some extra coverage when Tyler and I went for our walk on the beach. 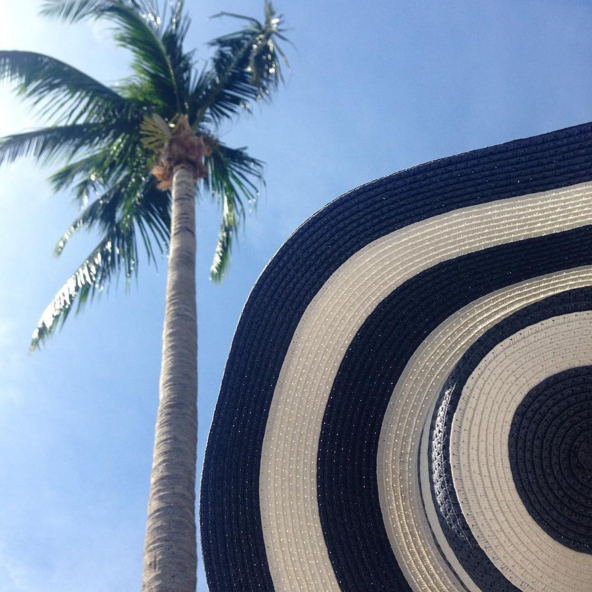 (A swimsuit cover-up would have blown around like crazy!) I know that restaurants close to the beach are used to people coming in in swimsuits and minimal clothing, but I just feel way more comfortable walking into an establishment when I have more coverage than a swimsuit cover-up. These pants from Billabong were perfect for going straight from the beach to lunch. I got these beach pants in black, but they do come in other, brighter colors. Also if you want something that makes more of a statement, definitely check out Billabong's selection! They have some really fun patterns (from floral print to paisley) that would be perfect for a beach trip or for spring break. Since my pants were simple, I paired it with a chevron muscle tank for over my swimsuit top. Billabong has a really great selection of tanks right now. One of my personal faves says "Here today gone to Maui". This is a much more casual look for me than normal, but I really loved the relaxed vibe of this Billabong look! Hello, everyone! 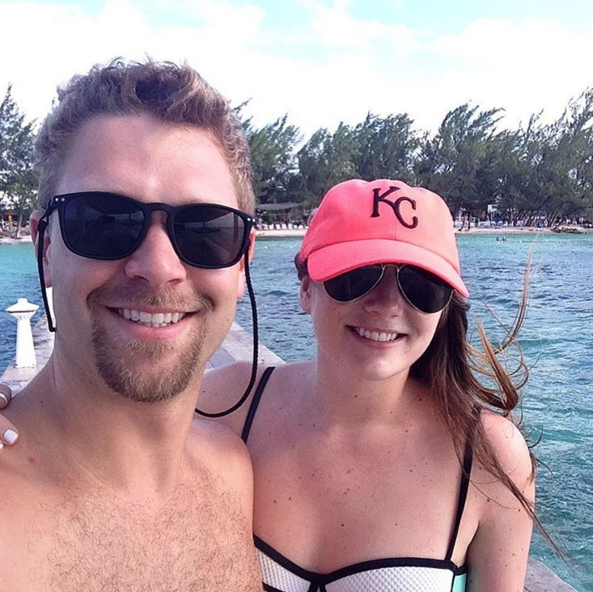 If you follow me on Instagram, then you know that Tyler and I are currently in the Cayman Islands! Since I want to be able to enjoy the end of our vacation, I've lined up a guest post from Lola Kayne today for you all! Lola is talking about the latest spring trends to see how she can tailor them to her personal style. Other than fashion, her passions lie in reading, snowboarding, and charity work. The X Silhouette Last year was all about the off shoulder tops, and continuing the obsession with accentuating your shoulders is the new “x” halter neckline, a spin off of the popular spring 2015 trend. According to Elle, the silhouette was observed across various major designers, including Derek Lam, Givenchy and Jason Wu. The Elevated Pajama Labels are adding a whole new meaning to Casual Fridays at the office as labels introduce their take on high fashion flannel pajamas. In previous seasons, silk and lace slips stole the spotlight in terms of boudoir wear turned everyday wardrobe, but it’s the two piece pajama that designers are focusing on at the moment. Whether you’re a fan of floral satins or star spangled silks, industry leaders like Dolce & Gabbana and Gucci have you covered. The Ruffly Ensemble Romance was in the air as the models for Marques Almeida, Michael Kors and Roberto Cavalli stepped onto the runways in ruffles. 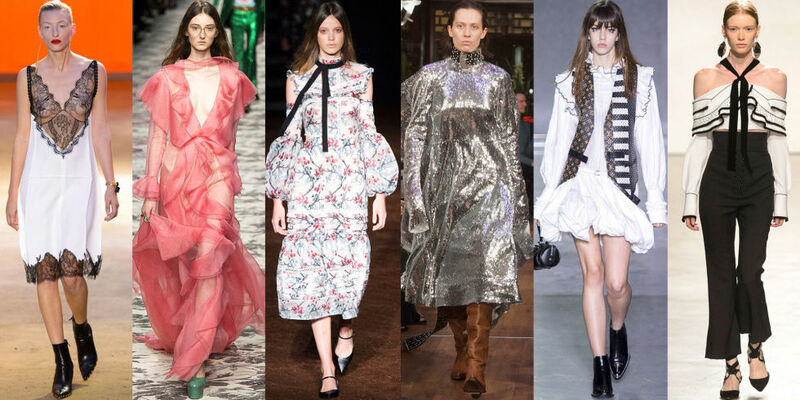 Spanish influences are appearing everywhere in the fashion world, and this key detail trend makes feel like bringing out our inner flamenco dancer. Although these styles will be prevalent this upcoming spring season, remember that you shouldn’t blindly follow trends. The beauty of fashion is that there aren’t any rules, and there’s no shame in going against the current. “It’s all about your comfort and that starts with a great fit,” says the women’s plus size fashion retailer Woman Within, so if these trends don’t work for you, go with what you’re comfortable in.